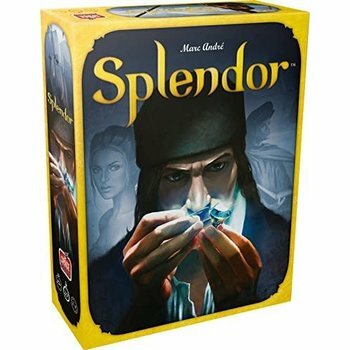 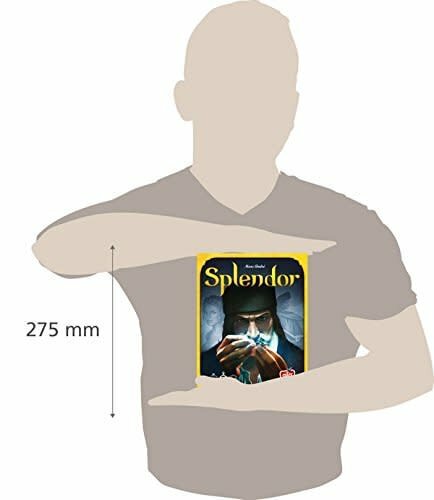 Splendor can be explained in five minutes and can play in half an hour, works with two players just as well as with three or four. 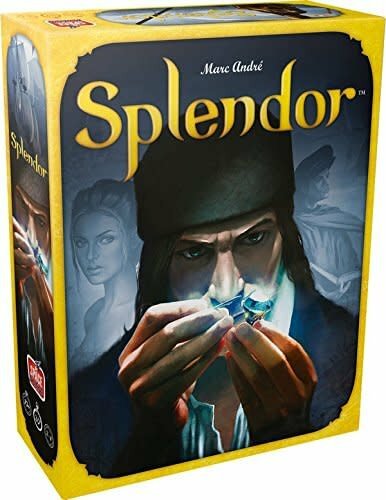 In Splendor, you lead a merchant guild.Using tokens representing gemstones, you will acquire developments which produce new gems (bonuses). 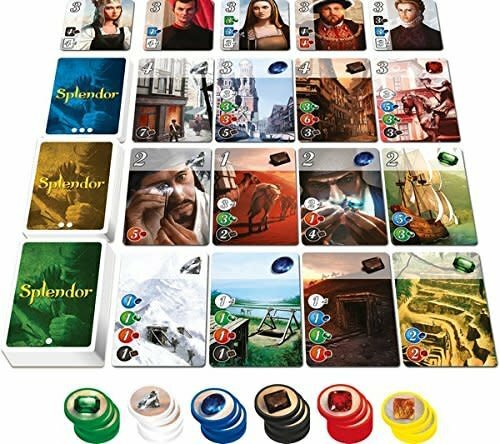 These bonuses reduce the cost of your purchases and attract noble patrons.Each turn is quick: one, and only one, action! 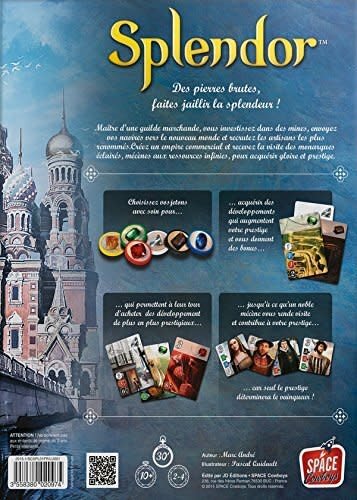 The first player to reach fifteen prestige points by accumulating nobles and development triggers the end of the game.